When you go from the planer like in the third picture to a newer model, there is going to be an obvious world of difference. After fifteen years of using my H&W planer which is to say been very good to me even with some of the finagaling i had to do some days to get her to run right. I decided finally it was time to purchase a new Planer, so for six months of researching all the different planers I finally opted for this Dewalt, Now i have only used it a few times to more or less test it out, I didn’t have any rough lumber to pass through, but for taking a board down from 3/4 to 1/2 it did an great job in that respect. I have only had it for about two weeks, so this review may be a little premature, but I am going to give it a review based on some of the key features that I do like about and which prompted me to finally purchase this unit over all the other planers I looked at. #1- It isn’t as loud as I was expecting, if i had to compare the noise level I would equate it to a push mower, obviously using it indoors you can expect the noise level to be louder. but overall it isn’t unbearable if you have to run a few board s through and you don’t have ear muffs. #2 One tool for everything. From removing the cover to get to the blades to actually removing the blades. it’s one tool for it all. As an added bonus the tool fits right on top of the machine. #3 The ease to getting to the blades couldn’t get any simpler, loosen the three red nuts rotate the shroud up and pull out to the left, and the blades are right there for you to change. #4 the model I purchased came with the table extensions which I think is a great addition for the planer. #5 I really like the two speed selection on this. #6 Chip ejection . holy crap is the chip blower on this powerful, better grab a hose to put on this and feed it directly into a trash barrel, you don’t need a dust collector for this unit. #7 13 ” planing width. hey when you go from 7 1/4” to almost double that well it is mind blown. so for me this is a woohoo moment. Okay now for some thing i don’t really care about, I wouldn’t call it a con, but it is feature I could live with out, the stop selector, it has a positive stop from 1 1/4” to 1/8”, I am not saying this is not a good feature but my self I don’t really see myself using this to often. The price was a little hefty in comparison to other models I looked at, however I think it was well worth the money spent. This won’t help you if you have badly cupped, twisted, warped boards, That’s not what it is designed for. but for removing the thickness and cleaning up boards I can’t see how you could go wrong with this planer. Thanks for your review even if it is just a few days of use it is what you have seen. This is the one I want as well ,but No Space so it will have to wait. I got mine second hand, and love it. I never had a chance to try another planer so I cannot compare. Yes the blower is powerful. This is the only planer I have used as well, but it is quite nice. I consider this one of my rare tool steals, as it was on sale with the extension tables and a second set of knives for less than the normal retail of just the planer. It was an Amazon door buster a few years back. Free Prime shipping even. Seems to be a very good machine for the money. What’s wrong with a Pinto? Other than they catch fire when rearended, they were decent cars. Saw one years ago shooting down Woodward avenue with a roll cage in it and custom fender flares on the sides, not bolted on plastic POCs, but welded sheet metal flares. The owner knew what he was doing when he customized this. What you see in and around Detroit. As for the review, I have heard that these planers were the cat’s meow, top of the line for portable planers. I have a planer that is one better, though, a Delta, can’t remember the model number. What makes it better, you ask? It was free, won it in a contest the local Woodcraft was having. Can’t beat that. Enjoy your new tool – I have found that even with the extension tables, lifting a bit the end of the board when feeding it and you’ll have zero snipe. I was looking for a planer for awhile. I finally saw something on CL and snagged it up. I have the DW735 planer along with it came a DeWalt stand that it sat on top off along with a home made ejection shoot all for $500. I think I got a great deal & it’s an awesome planer. So far it’s done everything I’ve wanted it to do. I have one, made a Thein baffle for my garbage can and hooked it up with a 2” shop vac hose. Works great! Fills up the garbage can kind of fast though. Agree with the positive review. It is a great tool. For the figured white oak I typically use, the stock blades wore out too quickly. I liked the bones of the planer, so I invested in the Shelix head and couldn’t be happier. Blades last and last, and no more tearout. Interestingly, one of my favorite features of this planer is the multi-thickness stop. I find it handy to plane down to the stop without concern that I will make my stock too thin. Then I batch plane each like part, removing another 1/32”, and each part is identical. Many stationary planers don’t even have that feature. Even if my shop adds a large stationary planer, this one will be around for the long haul. if you don’t mind me asking how much did you pay for it? 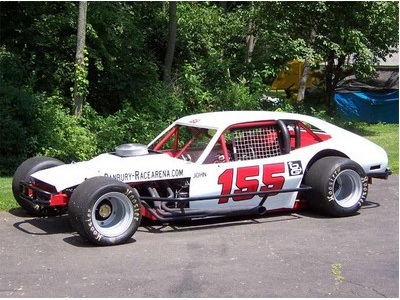 Pinto bodies changed short oval racing! I have really enjoyed mine. At some point, particularly for fine woodworking, adding the wixey digital height gauge is a great upgrade. Really turns the planer into a precision machine. I get very good life out of my blades taking 1/32 on each pass on hardwoods like mahogany, walnut, and cherry. Got a killer deal on it a few years back when HD cleared them out. Tip- the infeed and outfeed tables allow some height adjustment. I set my infeed level to the bed and the outer end of the oufeed table up by I believe a 1/16, but will have to double check that out in the shop. Seems to help against snipe and what little I get sands out in finishing. Oh sure, make me drool… I like my old Ryobi even though it is a basic cheapie, but man those DW735s are nice! If I am not mistaken, your old planer is a Williams & Hussey Molder/planer. If that is in fact what you have, it may not be very good at planning, but it excels as a molder. It is one of the best molders that you can get. I just restored one of them about 2 years ago. Depending on what features, you might think about updating it and getting some molding cutters for it. The new models are still based on their original models with just a few updates. here is the link to their site http://www.williamsnhussey.com/ if it is in good working order, and you don’t want to bother with it anymore, the used machines can still go for more than what you spent on your new Dewalt planer. As a second note, I started out with the dewalt planer that you have. It is a great machine, the only problems that I have had with it is twice now, I have had a piece of wood get caught in the extraction fan and melted/wore off the attachment brackets before it extracted it. this is a common problem, dewalt fixed it for me without question. The other thing that gets old, is the blades rarely will handle 100 bf of oak before they need to be changed. I just recently upgraded to a 5hp 20” wide planer, but am still keeping my dewalt for thinner and smaller boards because I like it so much. Update on the review. So I have been using my planer for awhile now, a few weeks ago I asked my uncle to bring over some rough lumber, I really wanted to put this planer through the paces. he brought over 8 boards that were 12×8 we ran these through, My uncle was drooling when we were done. It did an excellent job on those boards. I will say this, though after running another 100 board feet through the blade were beginning to show some dulling. If you purchase this planer, use the factory blades until you can upgrade to a carbide tipped blade.